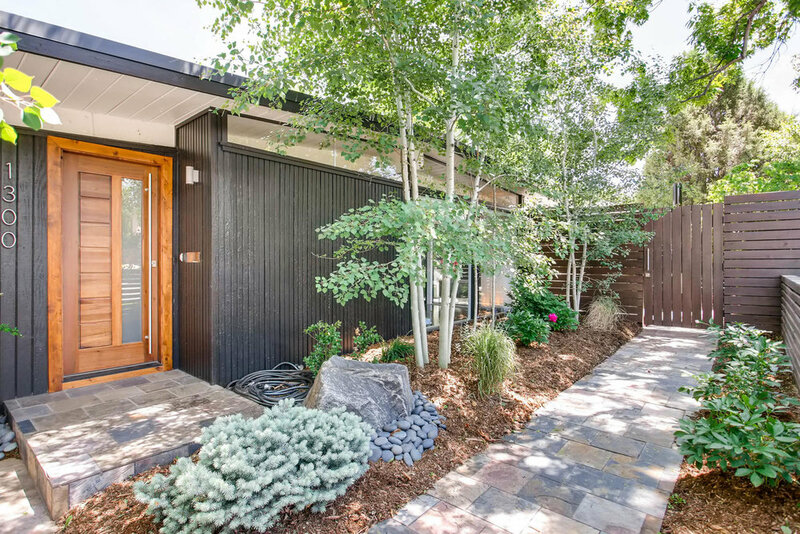 As both a fan of and a knowledgeable resource of Denver's MCM architecture, Ryan works with many buyers & sellers of MCM homes. Tucked in southeast Denver between the Virginia Village and Glendale areas, you'll find a spectacular mix of original 1950s architecture with modern day updates. Krisana Park screams pride of ownership, as it's homeowners know they've got something cool - very cool. 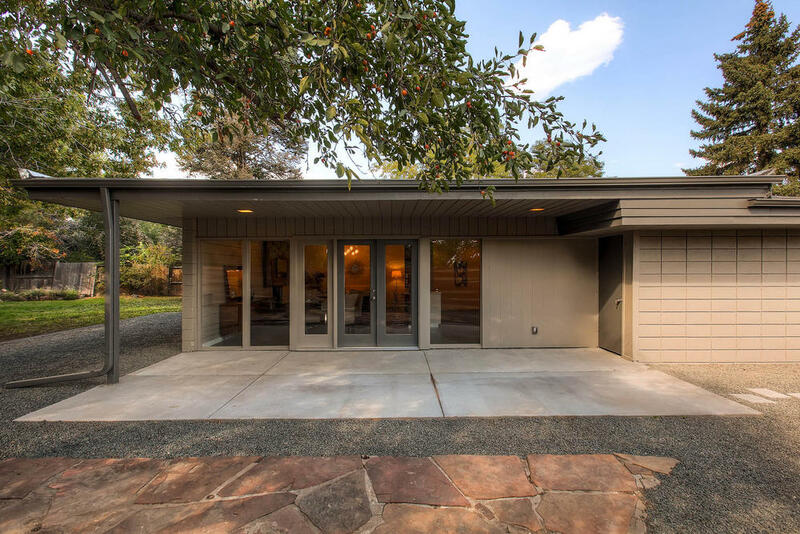 Inspired by the popular Eichler "California contemporaries," Denver developer HB Wolff & Co built these homes between 1954-1955. Most of the 175 homes in Krisana Park have been updated to some extent; in many you will find features such as floor to ceiling windows (think natural lighting! ), tongue and groove ceilings, private courtyard exterior living, open concept layouts, contemporary finishes, and certainly even some bright & funky colors. Lynwood is often considered Krisana Park's sister neighborhood, with 80 homes located just a few blocks south. BOUNDARIES: KRISANA PARK: Louisiana Ave., Glencoe St., Florida Ave., & Dahlia St. LYNWOOD: Mexico Ave., Jewell Ave., Holly St., & Jasmine St.
Englewood's Arapahoe Acres is the first post World War II residential subdivision to be listed as a historical district in the National Register of Historic Places. This mid-century modern neighborhood of Usonian architecture boasts 124 unique homes that were built between 1949 and 1957. Key players in the neighborhood's history include Edward Hawkins - developer and designer, DU professor Eugene Sternberg - architect and planner, as well as Cycle Mannon - construction manager. Homes in Arapahoe Acres feature a variety of natural stone, block, and wood construction. Visit www.arapahoeacres.org for more info. Read the Denver Post's article on Arapahoe Acres HERE. NEIGHBORHOOD BOUNDARIES: E. Bates Ave., E. Dartmouth Ave., S. Marion St., & S. Franklin St.
Littleton's Arapaho Hills is known to many as the sister neighborhood of Englewood's Arapahoe Acres. With homes being built from 1957 through 1964, it was 2012 when Arapaho Hills became listed in the National Register of Historic Places. Developed again by the Edward Hawkins and Clyde Mannon team, it reflects the Usonian and International design styles found in post World War II architecture. A unique characteristic about Arapaho Hills, compared to some other mid-century modern neighborhoods around town, is that each of it's 56 homes are completely custom. Though some do share similarities and styles, each one boasts it's own unique features, layout, and design. Visit www.arapahohills.org for more info. NEIGHBORHOOD BOUNDARIES: W. Arrowhead Rd., W. Berry Ave, S. Lowell Blvd., & S. Manitou Rd. Southwest Denver's Harvey Park neighborhood is the home to some very cool mid-century modern homes. The Cliff May homes are the most well known, but there are also others built by a few different builder teams such as the (Lou) Carey "Holiday" homes, Burns Construction homes, and more. The infamous Cliff May is considered as the "father of the California ranch home." He, alongside architect Chris Choate, concepted these low-cost ranch homes which could be constructed quickly in modular fashion. 170 Cliff May homes are found in Harvey Park - Colorado's only Cliff May neighborhood. Many Harvey Park homeowners have remodeled and updated their Cliff May homes, while at the same time some exist with nearly all of their original features. Visit www.harveyparkmodern.com to learn more, & check out a Denver Post newspaper article from 2012 HERE. NEIGHBORHOOD BOUNDARIES: W. Jewell Ave., W. Hampden Ave., S. Sheridan Blvd., & S. Lowell Blvd. The history behind Denver's South Dahlia Lane community is fascinating, as this small 32 home development came about due to the formation of the Mile High Housing Association in the late 1940s, a cooperative-housing member group launched by University of Denver faculty members who were in search for a better but affordable housing situation for their growing families. At the time, most were living in temporary post-war housing, essentially butler huts, which served as the university's faculty housing, and the land known now as South Dahlia Lane was simply a field of alfalfa grass. NEIGHBORHOOD LOCATION: 1/2 mile directly south of I-25 & Evans, west of Dahlia St.
Where else can we find mid-century modern homes in the Denver area? This is just a small sampling of the many mid-century modern neighborhoods and homes in the Denver area. For further questions about these neighborhoods as well as others, feel free to contact Ryan at ryan@podiumproperties.com or 303.929.8722.